In 1860, the phrase was used in the Coat of arms of New Westminster, Canada. The phrase has been included in many hymns and religious-patriotic songs. During the American Civil War, the 125th Pennsylvania Infantry for the Union Army assumed the motto "In God we trust" in early August 1862. William W. Wallace, coiner, circa August 1862, of the motto "In God We Trust"  was Captain of Company C of the 125th Pennsylvania Infantry. 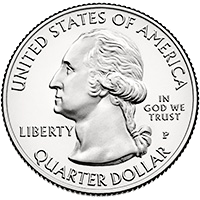 An Act of Congress passed on March 3, 1865, allowed the Mint Director, with the Secretary's approval, to place the motto on all gold and silver coins that "shall admit the inscription thereon". In 1873, Congress passed the Coinage Act, granting that the Secretary of the Treasury "may cause the motto IN GOD WE TRUST to be inscribed on such coins as shall admit of such motto". During the Cold War era, the government of the United States sought to distinguish itself from the Soviet Union, which promoted state atheism and thus implemented antireligious legislation. 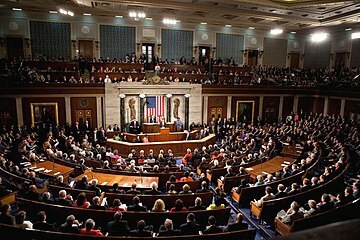 The 84th Congress passed a joint resolution "declaring IN GOD WE TRUST the national motto of the United States". The resolution passed both the House and the Senate unanimously and without debate. The law was signed by President Eisenhower on July 30, 1956. The United States Code at 36 U.S.C. § 302, now states: "'In God we trust' is the national motto." In 2015, David F. Bauman dismissed a case against the Matawan-Aberdeen Regional School District brought by a student of the district and the American Humanist Association that argued that the phrase "under God" in the Pledge of Allegiance created a climate of discrimination because it promoted religion, making non-believers "second-class citizens". He noted; "As a matter of historical tradition, the words 'under God' can no more be expunged from the national consciousness than the words 'In God We Trust' from every coin in the land, than the words 'so help me God' from every presidential oath since 1789, or than the prayer that has opened every congressional session of legislative business since 1787." ^ " 'In God We Trust' to be placed on Jefferson Co., IL squad cars" ( Archive). KFVS. August 1, 2015. Retrieved on August 2, 2015.
" The Stars and Stripes Forever"
" Hail to the Chief"
" My Country, 'Tis of Thee"
" The Air Force Song"
" The Washington Post March"
" Battle Hymn of the Republic"
" You're a Grand Old Flag"
" When Johnny Comes Marching Home"
" This Land Is Your Land"